The address was also notable for what the president didn’t say. While the president declared that “no challenge poses a greater threat” than climate change, he failed to point out that his policies do almost nothing to solve the climate problem while making life harder for American families, particularly the “middle class” families Obama claims he supports. Below we read between the lines to bring you the good, the bad, and the forgotten from President Obama’s 2015 State of the Union. However, it is disingenuous for the president to claim that higher fuel standards save Americans money just like lower gas prices. Although the administration’s Corporate Average Fuel Economy Standards (CAFE) force automakers to build more fuel-efficient vehicles, the rules also make cars more expensive, pricing millions of Americans out of the new-car market. Low gas prices don’t do much good for the family that can’t even afford a car. As we will explain below, America’s domestic energy boom benefits American families, but it is not happening everywhere. It is only occurring on state and private lands outside of President Obama’s control. The president is correct that the U.S. is now the world’s top combined oil and natural gas producer, ahead of Saudi Arabia and Russia. 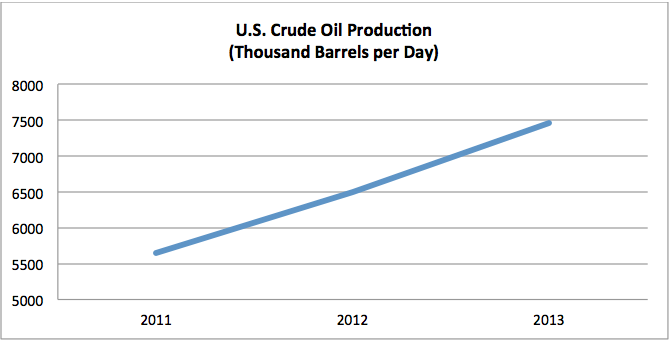 However, President Obama has nothing to do with the domestic energy boom. In fact, the boom is proceeding despite—not because—of the president’s policies. Methane plan threatens state and private lands with federal control. Last week, the White House announced a plan to reduce methane emissions from certain oil and gas operations. The rule is unnecessary, as methane is already down 16 percent since 1990. Moreover, methane emissions from hydraulic fracturing have plummeted 73 percent since 2011, even as natural gas output has soared (on non-federal lands). BLM set to impose federal hydraulic fracturing rules. A proposed rule from the Bureau of Land Management would regulate hydraulic fracturing on federal lands. As IER explained in comments to BLM, the rule is “duplicative, costly, and unnecessary” because states and localities already regulate hydraulic fracturing on federal lands. The rule is expected to affect more than 5,000 oil and gas wells and cost up to $1.61 billion per year. America’s energy producers are thriving on non-federal lands, where state regulators and individuals with local knowledge make development decisions. The continued success of America’s energy boom depends on keeping the federal government off of state and private lands. Just as important as what the president said during is State of the Union address is whom the president forgot to mention. Climate-change researcher Nicole Hernandez Hammer earned a seat in the First Lady’s guest box during the State of the Union address. The president, however, failed to highlight her work during the address. EPA rule fails to reduce sea levels. The cornerstone of the president’s climate action plan, proposed carbon dioxide limits for existing power plants, is expected to reduce sea-level rise by just 1/100th of an inch, or about the thickness of three sheets of paper. Hispanics, Floridians, and all Americans face higher energy prices. While doing nothing to abate sea-level rises, Obama’s policies raise energy costs on American families, including Hispanics. A NERA analysis finds that Florida, where Hernandez Hammer resides, could face 17 percent higher electricity rates under EPA’s existing power plant rules. Nationally, households in 43 states could see double-digit electricity rate hikes. Obama’s climate agenda disproportionally harms minorities. Hispanics and other minority groups spend a larger share of their household budgets on energy, which means they also shoulder a larger burden of Obama’s costly energy policies. According to the Libre Initiative, median household income for Hispanics is $40,979. For households with incomes of less than $50,000 per year, energy comprises nearly 15 percent of total spending and is the second largest category of family expenses, ahead of even food. President Obama’s rhetoric on “middle class economics” belies his record. His climate agenda harms those it is supposed to help but does little to actually reduce sea levels associated with climate change. In his 2015 State of the Union address, President Obama referenced booming domestic energy production and low gas prices. Unfortunately, the U.S. has more abundant and affordable energy despite the president’s policies, not because of them. 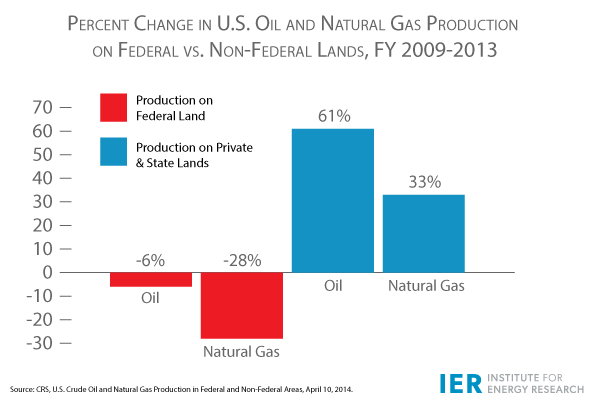 While America’s energy innovators are producing record amounts of oil and natural gas on state and private lands, output on federal lands has been dropping for years. Meanwhile, the president’s costly climate agenda would make energy more expensive for all Americans, particularly minorities and low-income households. A positive vision for energy prosperity lies with America’s energy producers and American families, not with President Obama’s policies.